Baby Boy is here with another banger, I'm sure you'll all love this tune. He featured Decoded and Saudi Junior on this one. As produced by TBlade Beats and mixed by Kazee Music. 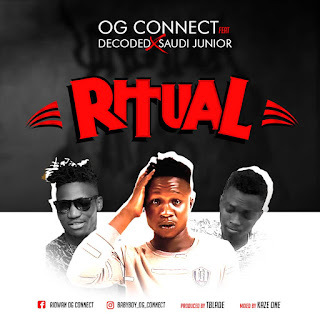 1 Response to "Mp3 Download: OG Connect - Ritual Ft Decoded X Saudi "